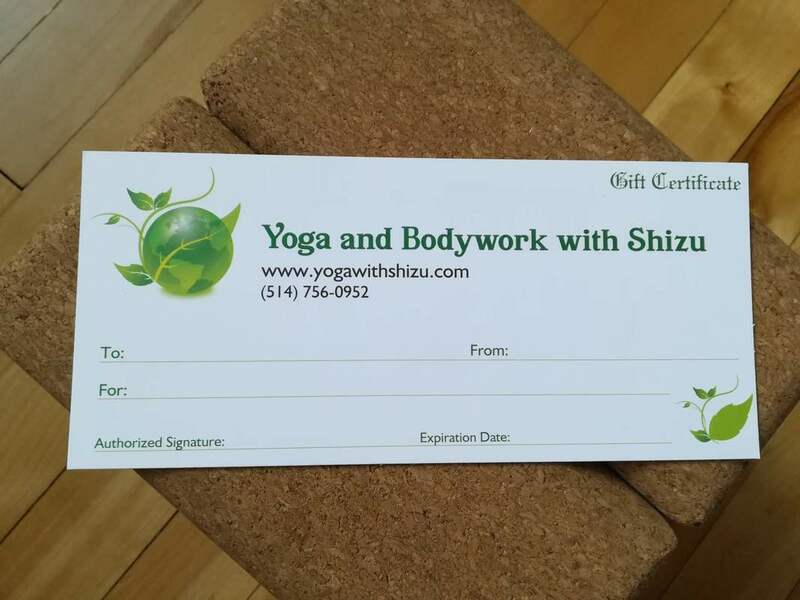 Yoga with Shizu gift certificates are now available for any budget, whether you want to treat someone for a 60-min private relaxation session, 5 group-class sessions, or a few Tarot-Yoga sessions. For all the available options and their fees, please take a look at the appropriate pages (private, group). If you have any questions or if you'd like to purchase a certificate, please contact Shizu :) Thank you!